As someone who lives in denim, I try to have a variety in my closet. 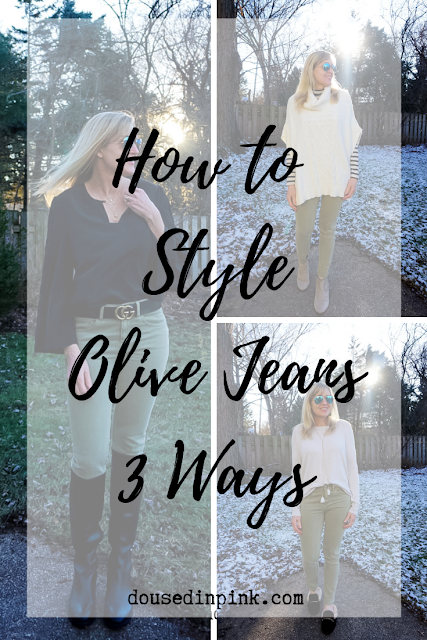 Olive is such a versatile color, I have olive moto leggings and wear my olive utility vest and jacket on repeat. 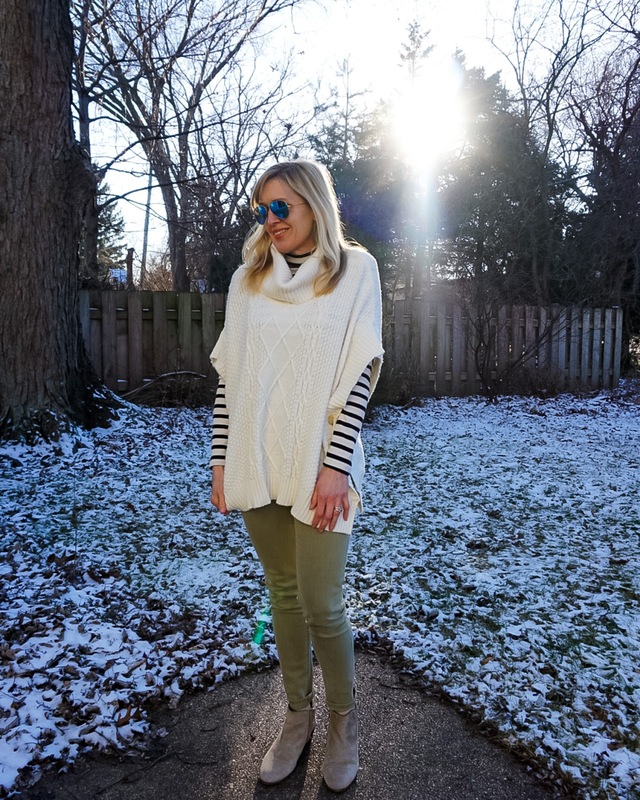 When I found this pair of olive denim on major sale at Loft, I knew I needed to add it to my wardrobe. 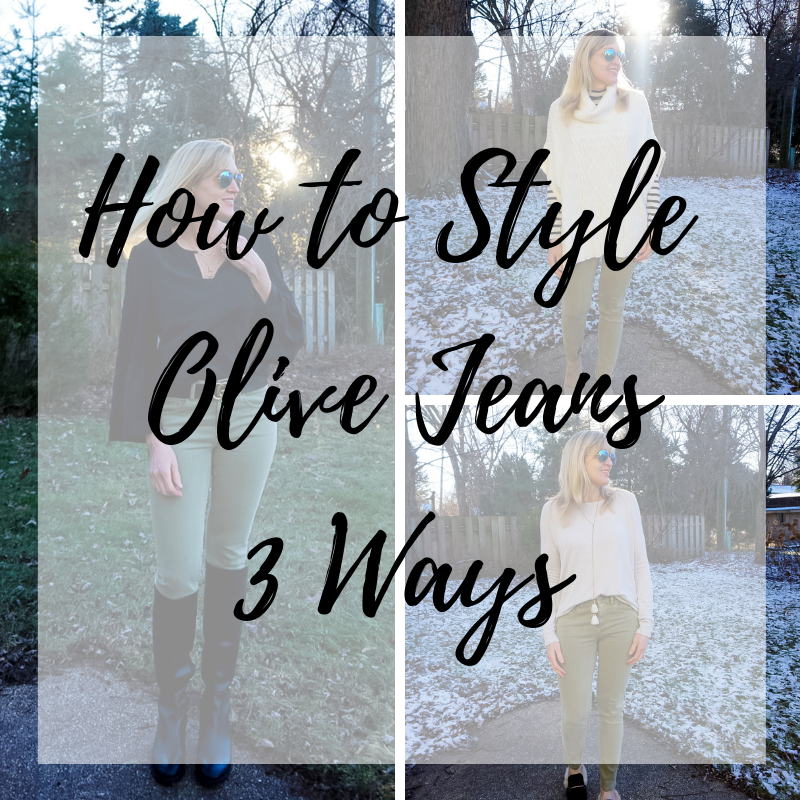 I wanted to style them multiple ways to show you the versatility of this color denim! Look #1: Olive denim + black blouse, black belt, tall black boots. I always have loved how olive pops when paired with all black. I wore this first outfit for a couples night out of dinner and live music. 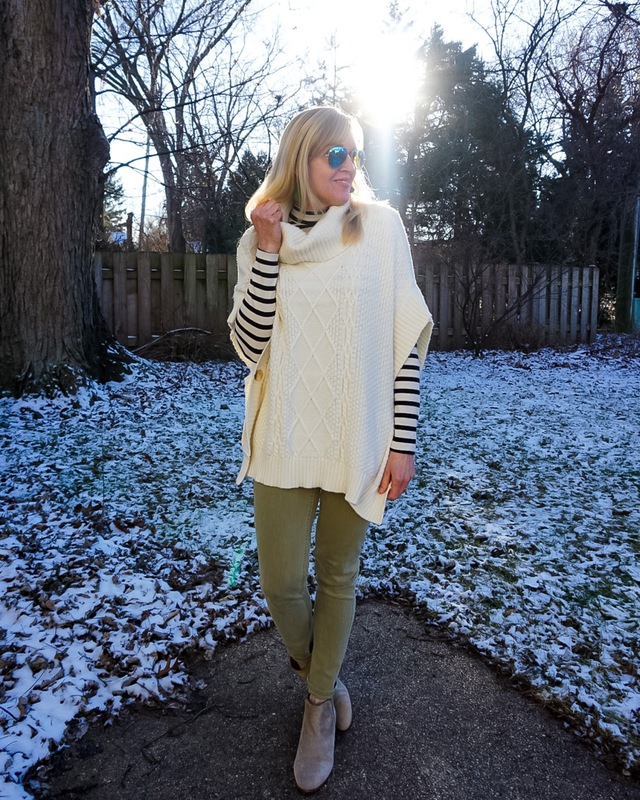 Look #2: Olive denim + striped turtleneck, ivory poncho, taupe booties. I wanted to stick to neutrals for this second look. 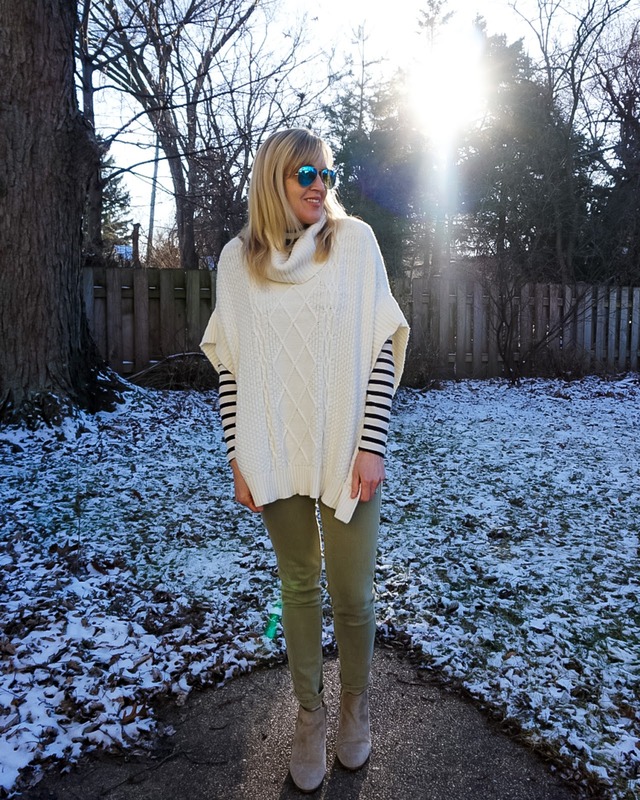 Ponchos are an easy way to layer, stay cozy and still look stylish. This outfit was perfect for running errands on the weekend and meeting up with a friend for coffee. Look #3: Olive denim + grey sweater and mules. This is my every day, work from home uniform. These faux fur lined mules are perfect for throwing on when you have to run out!